Anywho…I wore those sandals by Nine West for years and had them repaired several times. The cross-foot band was made made from the softest leather; it was like sliding my bare foot into butter. Sadly, my soft little sandals met their death when my cobbler said there was nothing more that he could do. I searched high and low for replacements, but never found any. It seems by the time I was ready to replace them, they weren’t the sandal of the moment anymore…. until now! Not only did I find these amazing Stuart Weitzman sandals that are virtually an exact replica, I found other similar slides and sandals that have a bit of a lift without the crippling arches that so many absolutely gorge sandals tend to have. Here is another pair from Robert Clergerie that I absolutely adore. They might actually be my favorite of the bunch with that extra braided band. You’ll notice these ain’t getting any cheaper…. I lied. 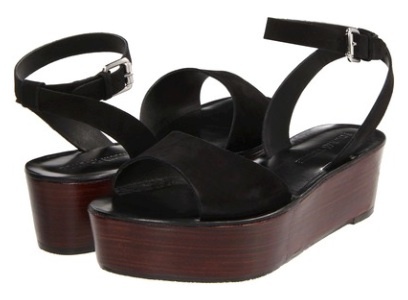 These flatform sandals are quite a bit less and have a cute ankle strap so it’s easier to keep them on. The ankle strap makes them look a little bit dressier too, so they are ideal for pairing with summer dresses. 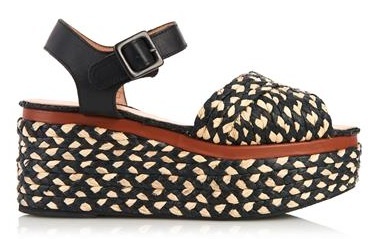 Should you like to go the espadrille route, this little peep toe model is perfect. They definitely scream summer, but the suede is super sophisticated – like for summers in the Hamptons. Leave your wicker tote at home and choose these gorgeous sandals instead. 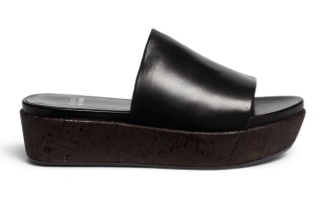 The flatform makes them comfortable and the black and natural raffia construction make them cool. The name Clergerie? That makes them expensive. Still feel like you’ll be falling off your flatforms? 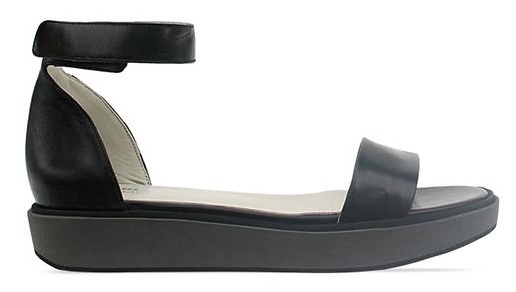 Try these black/gray sandals from Jil Sander. 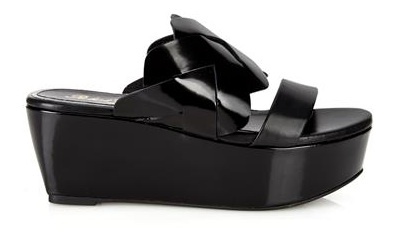 The demi flatform means you’ll be a lot closer to the ground in case your ankle are afraid of heights. And last but certainly not least, these little numbers from Pour La Victoire are ideal if you really can’t decide between black and brown. 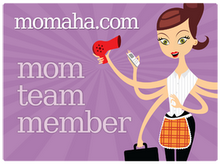 They satisfy both cravings along with the need to show off cute ankles with the ankle straps.